Have a 2 to 4 year old that loves playing with a football? Want them to take part in a football session that’s fun? Yes?! Then get yourselves to Stanley kickers that returns on 27th April! The next course of sessions is available to book online, booking online means you can book session for just £3.50 a week. (£4 pay on the day). 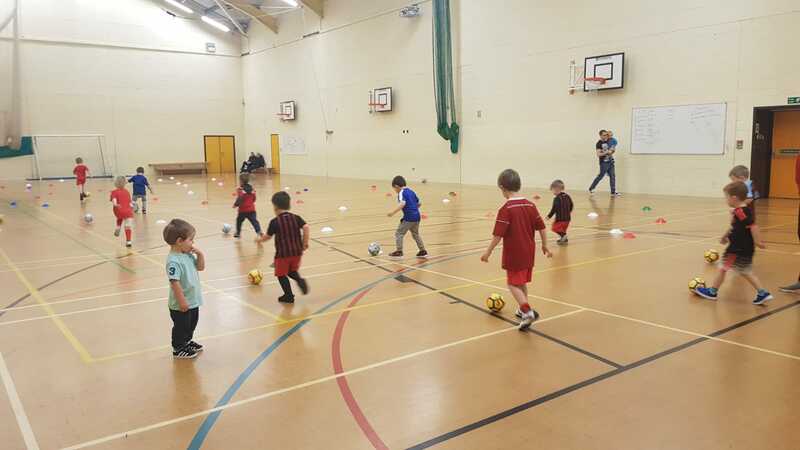 The sessions are aimed at those children that are taking their first steps into football getting them used to the feel of the ball at their feet. As well as this, the sessions help improve their body awareness, mobility as well as their fitness. All children work with a ball of their own allowing them to improve their balance and coordination which in turn gives them the ability to build the self-confidence and self-esteem.